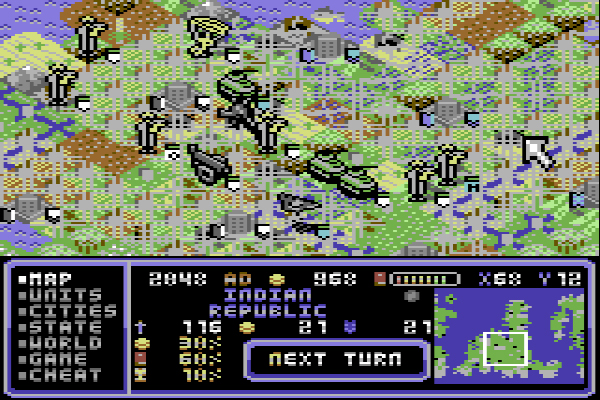 "Civilization is a global strategy game released 1991 by MicroProse under the direction of Sid Meier, who weighs as legendary within the industry. It is one of the most popular and most successful games of all times. 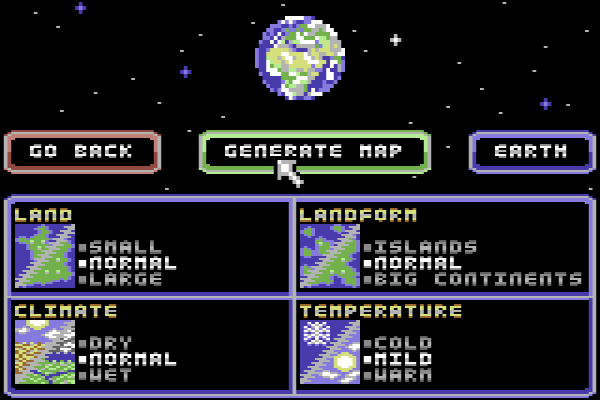 The player has the task to guide a tribe from the New Stone Age through the history of mankind up to the present and to the colonization of a new planet. Civilization is considered the most important game in the global strategy genre." We all love Civilization. But it had a considerable flaw. 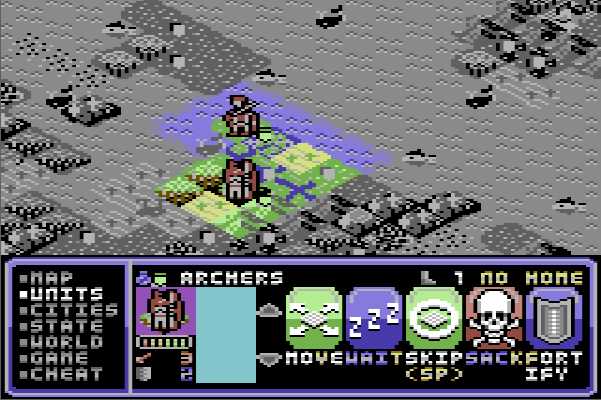 It is a game of the 16-Bit era and made it to a Commodore (Amiga), but not to the C64. We cannot tolerate this. 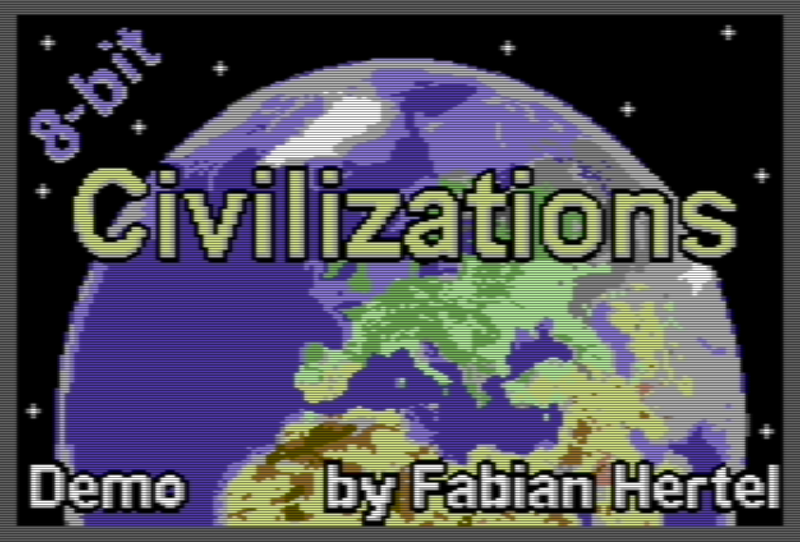 Fabian Hertel presents an impressive fan remake of the classic for the Commodore 64. A playable demo version is available as a download, of course at no cost. OK, enough talk. Grab your free copy of the demo now and give feedback! 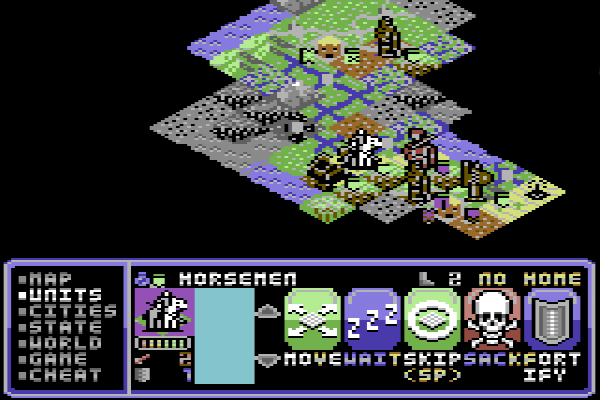 Most of the actions have a keyboard character highlighted, indicating that the action can be triggered by pressing the respective key. A turn always starts in move mode. You can leave the move mode via V or a click on your joy/mouse. Then, all visible actions can also be selected by joy/mouse. 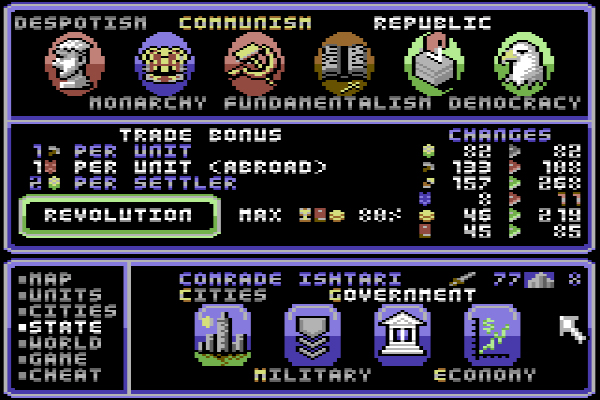 a click on an empty field shows status information on your civilization as a whole. a long click on a field switches into the field info mode. With another long click you get back to normal mode. 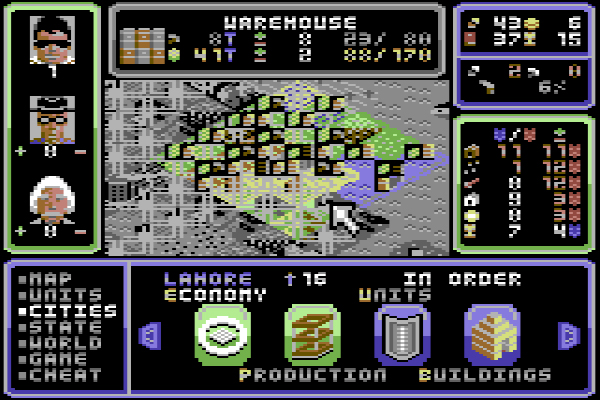 A double click on a unit activates/selects the unit (if possible), a double click on a city opens the city. 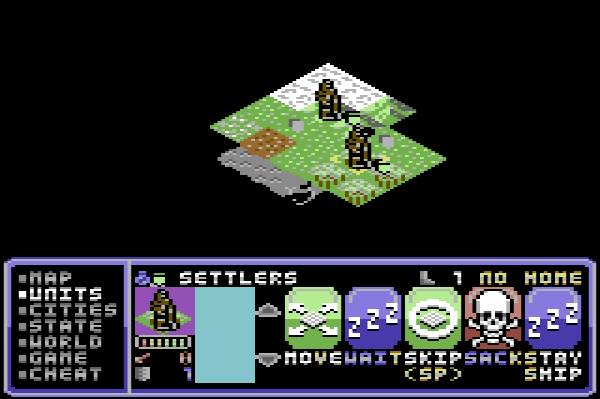 With CRSR left/right, the action menu for a selected unit is scrolled through. With CRSR up/down, multiple units on the same field can be scrolled through. 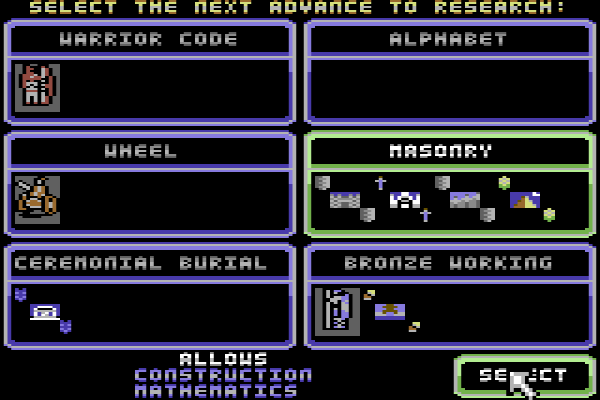 Units can be moved either with joy/mouse or with the keys QWE, AD and YXC. You can hide/unhide all units with U. If the selected unit stands on a city field, you can enter the city by pressing RETURN. In the cheat menu, press 1-7 for the different sub menus. Any amounts raised will directly support the development of current and upcoming projects by Fabian Hertel.